Like many of its Asian neighbors, Laos has its shares its sapphire deposits. This is not surprising given its location, situated between Vietnam and Thailand, both significant sapphire producers which dates back over 500 years, gems have been mined in the Bokeo Province of northwestern Laos. In fact, the literal translation of Bokeo is “gem mine"
Laos’ most famous sapphire mine, Ban Houay Xai, has been worked sporadically since the late 19th century, but it was closed in 2000 due to charges of corruption, and significant production has not resumed. Small-scale mining is reportedly occurring in the region however, as well as other locations around the country. In many instances, farmers dig huge holes in the middle of their rice paddies with the hope of finding a fortune in gemstones. 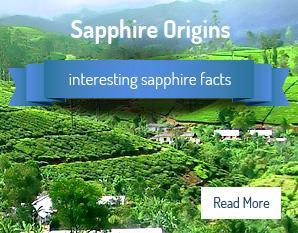 Today Sapphire Ring Company does not buy or sell sapphires from Laos, much of the mining here is unsafe and with very to few laws and restrictions on mining sapphires and precious gem stones we have decided to keep all of our sapphire buying to the Island of Sri Lanka ( Ceylon ) .